Item # 309444 Stash Points: 8,495 (?) This is the number of points you get in The Zumiez Stash for purchasing this item. Stash points are redeemable for exclusive rewards only available to Zumiez Stash members. To redeem your points check out the rewards catalog on thestash.zumiez.com. Keep your look sophisticated and streamlined in the HUF Dylan Slip-On Black Croc Leather Skate Shoes. 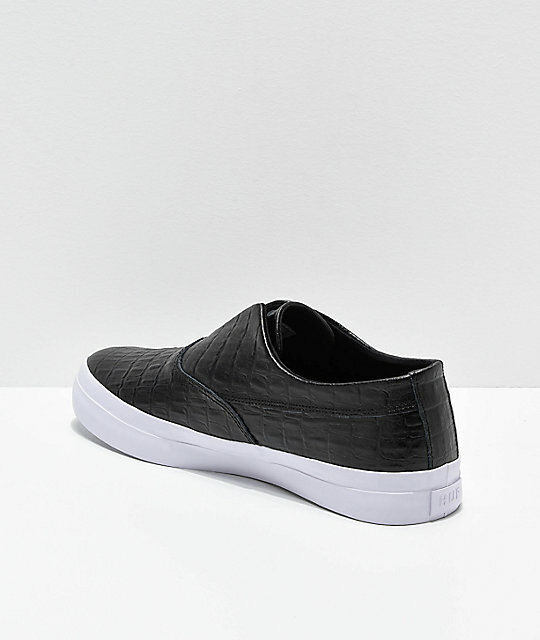 Reminiscent of Dylan's fashionable personality and unique perspective, these low-profile slip-on shoes have a textured crocodile skin black leather upper and a vulcanized construction for unmatched board feel. As one of the most elegant pro-model shoes and a testament to one of the most stylish skateboarders to have ever graced the skateboarding realm, these shoes pay homage to one of the greatest that ever lived. Dylan forever. 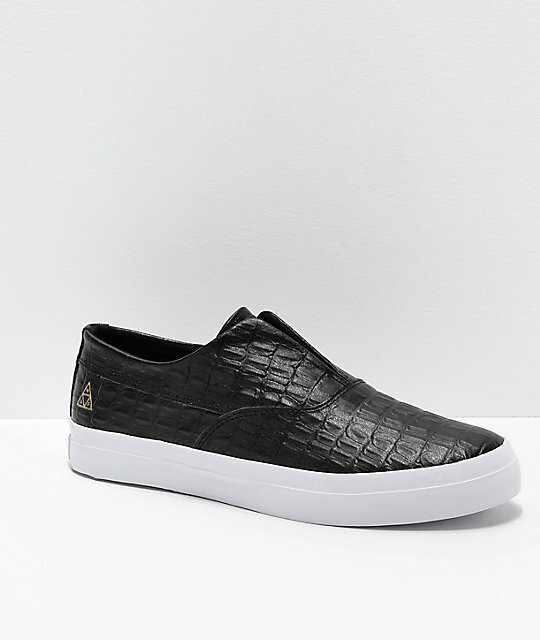 Dylan Slip-On Black Croc Leather Skate Shoes by HUF. Textured black leather upper with double stitching along toe piece panel and sidewalls. Dylan HUF tag on tongue.